You know what they say: the rain in Noumea falls mainly on the playa (as in “player” and not the Spanish word for “beach”, although I suppose the rain in Noumea falls on both). And if you don’t know they say that, it’s probably because I just made it up. Semifinals moved to tomorrow. Our preview still applies as stands. Our Noumea Bureau Chief Jonathan Artman is off the hook for the day. I do hope he limits his carousing. Local boy Augustin Gensse continued his great run with victory over Slovakian Pavol Cervenak in straight sets, 7-6(6), 6-4. Gilles Muller continued his 3-set specialty wins with another over Flavio Cipolla, 4-6, 6-1, 6-4 in a real thriller. Cipolla always does well here in Noumea but had his 2011 campaign ended by the big lefty from Luxembourg. Vincent Millot pulled out another upset from the hat, defeating compatriot Josselin Ouanna in 3 sets, 3-6, 7-6(0), 7-6(2). A really hard-fought victory to progress to the semis. 2nd seed Jesse Huta Galung marched on towards the Final with a victory over Gregoire Burquier 6-4, 7-5. The first Semi sees the current favourite for Noumea glory this year, Jesse Huta Galung, face off against surprise package Vincent Millot. Millot has seen off two compatriots as well as Amir Weintraub, who was on an 8-match winning streak before Millot ground it down to an abrupt halt. The young, exciting Dutchman ought to finally put pay to the Frenchman’s hopes due to his consistent play from the baseline. 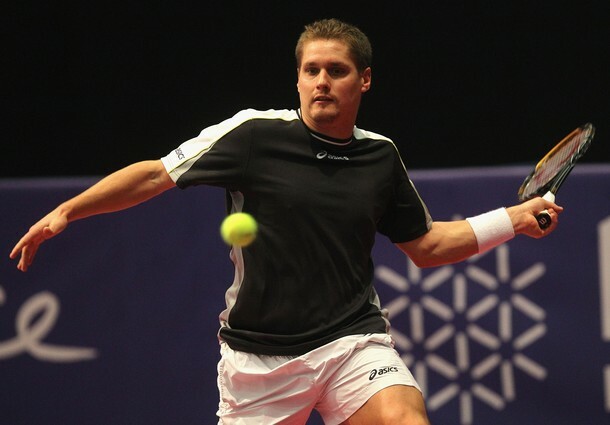 Millot is capable of beating the likes of Galung on his day, however, so it promises to be an intriguing clash. Expect another 3 setter involving the Frenchman but Galung to finally prevail. Once again lovingly cut-and-pasted by my overtaxed typing fingers. You’re welcome!